Husqvarna TC138 Ride on lawnmower Northern Ireland for 2018. 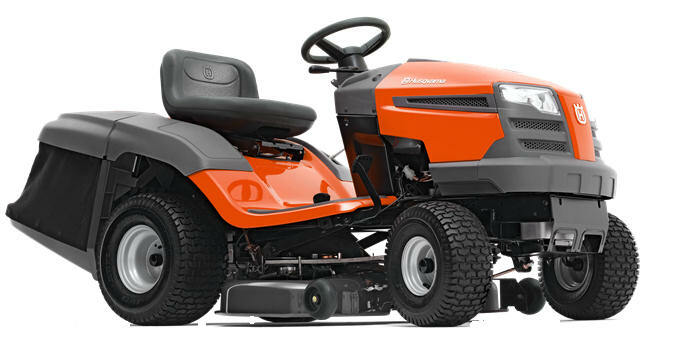 The Husqvarna TC138 is an efficient garden tractor that offers excellent collection of grass clippings as well as leaves, giving tidy cutting results. 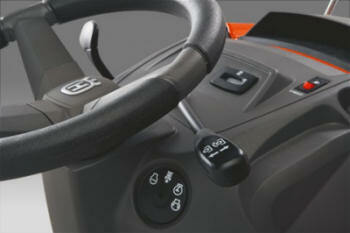 The spacious TC138 ride on mower comes complete with an integrated collector that is easily emptied from the driver’s seat. The Husqvarna TC138 is equipped with a high-specification, fully pressure-lubricated 500cc Briggs and stratton engine and pedal-operated hydrostatic transmission for extra comfort and convenience. 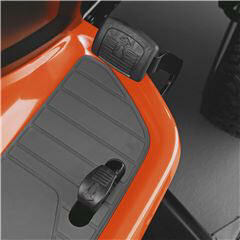 There are a whole host of accessories available as optional extras. 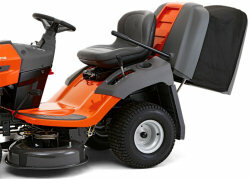 Call our Northern Ireland lawnmower showroom in Newry today to enquire about the Husqvarna TC138 ride on lawnmower. Husqvarna TC138 with hydrostatic drive and 500cc Briggs & Stratton engine (oil pressurized) - call us at Newry 028 302 66665.